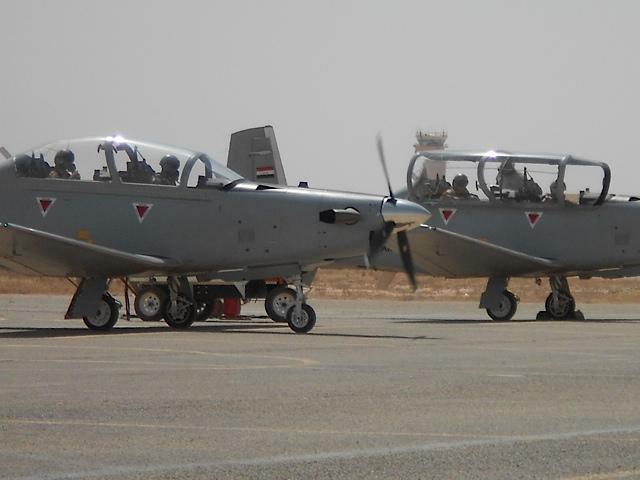 Iraqi student pilots prepare their T-6 Texan II aircraft for takeoff at the Al Sahra Airfield in Tikrit, Iraq. PHOTO COURTESY OF THE DEFENSE DEPARTMENT. Air Force Lt. Col. Chris Lachance is one of only three U.S. airmen in Iraq who is supervising efforts to train the next crop of Iraqi pilots and air traffic controllers. Lachance works at Al Sahra Airfield in Tikrit, where he is in charge of more than 800 contractors and Iraqis, according to an American Forces Press Service story. Like their American counterparts, Iraqi pilots start by learning the very basics of aviation, but since the Iraqi air force is relatively small, the Iraqis have to do a lot more work, AFPS reported. Iraqi officers and enlisted service members can work all night and then show up to class the next day running on little sleep. The pace of training is also much slower in Iraq, but Lachance said both sides have formed a solid partnership.